New matte finish Leatherette material with debossed Planeswalker and Mana Symbols. Magnet closure. Soft inner liner protects cards. 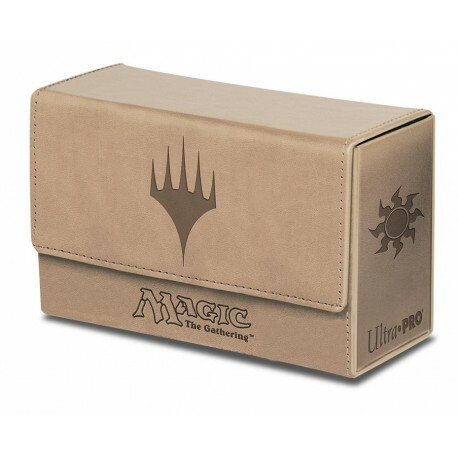 Holds up to 200 collectible cards in Ultra PRO Deck Protector sleeves. Adjustable divider allows the dual compartments to hold either 2 decks of 100 cards or 2 deck of 80 cards plus Oversize cards.